The Tracking Room is shared between Studio A and Studio B. This space includes the main tracking floor, one medium sized booth, and one small booth. 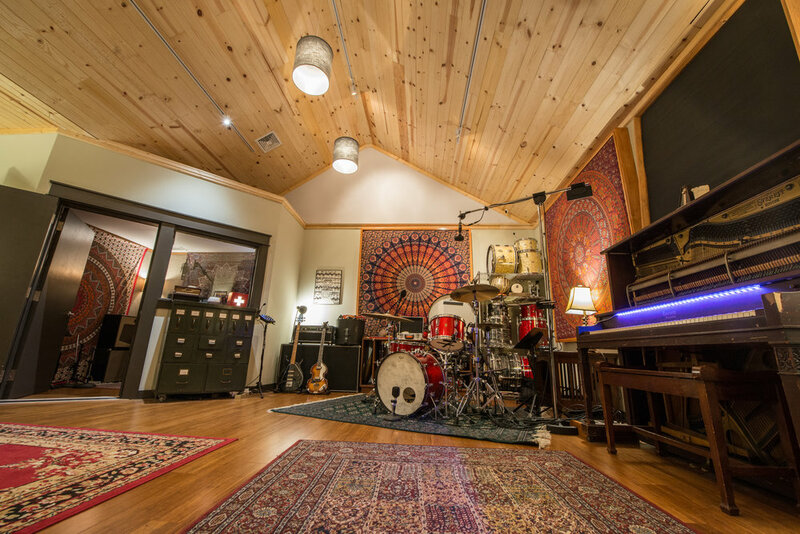 Super intimate and comfortable with a versatile, balanced, and open sounding main room, this space nurtures and inspires creativity. Lots of instruments ready to be played, lots of memories to be made! This room is also great for video shoots. Either live-in-studio audio/video production, or music videos done to existing tracks.